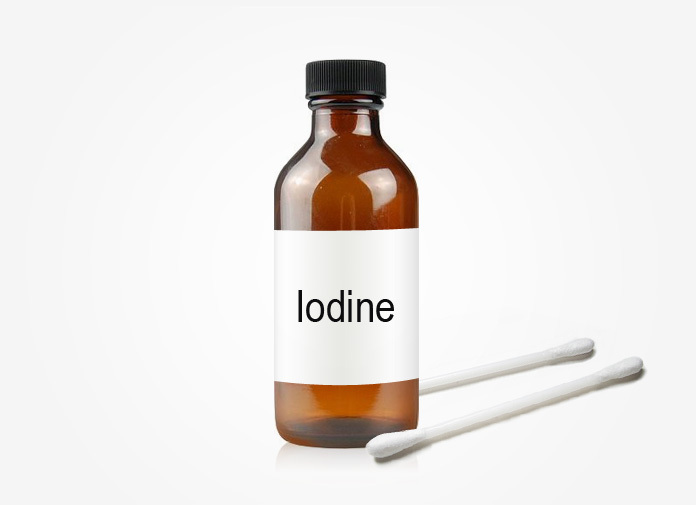 This how-to-use iodine for hair loss recipe is based on a huge success story we recently shared on our website. To make it short, he tried a bunch of treatments (both prescribed and natural-remedy based) for his patchy hair loss (aka Alopecia Areata) and this was the ONLY remedy that gave him solid results AFTER ONLY 2 MONTHS (with even more hair filling in within 4-5 months). Apply the decolorized iodine tincture every night to the bald or thinning areas using Q-tips for precise application. Take your choice of multivitamin everyday.